Editor’s note: The following account was written for RaymondIbrahim.com by an anonymous American teacher in the Muslim world. Following my visit to the damaged Bride of the Sea on Tripoli’s harbor, I decided to take a look at the city’s Christian Cemetery, which has been attacked and desecrated three times since the fall of Qaddafi in 2011 (the last attack occurring in January of this year). 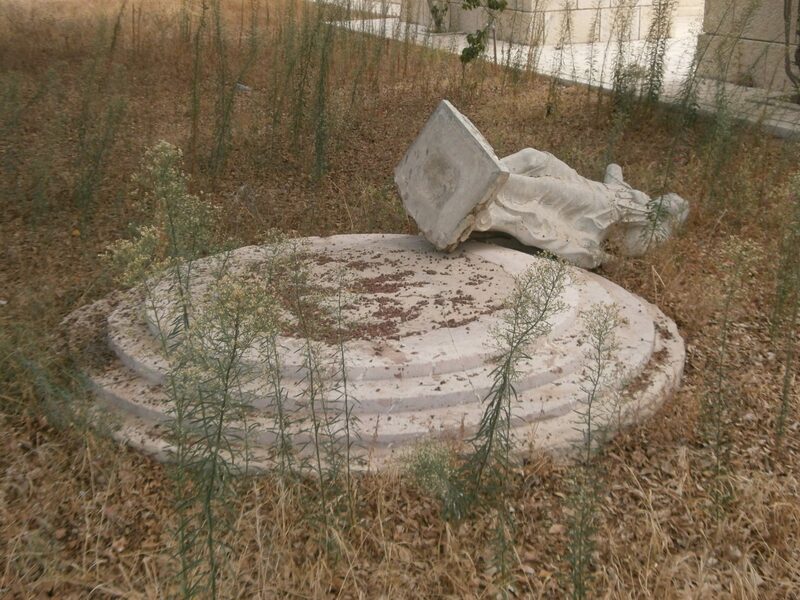 Sadly, I was not surprised by what I saw, including decapitated statues of Christianity. The main entrance of the cemetery was covered with graffiti that reminded me once more of Islam’s intolerance. The first thing I noticed once I crossed the gates was all the trash that was blended with the tall yellow grass that covered what was once a beautiful trimmed green lawn mixed with flowers. 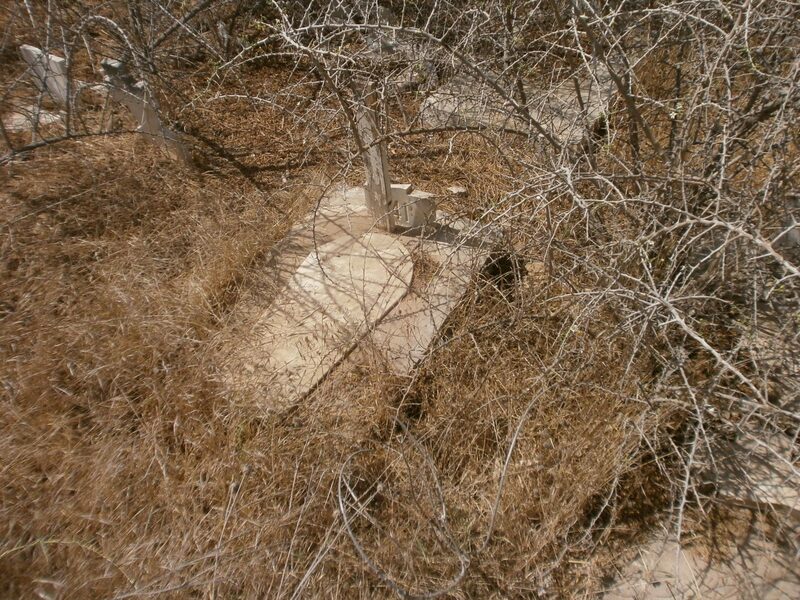 As I walked on the main road that lead to the ossuaries, I noticed a number of tombstones that could still be seen through the tall bushes and weeds. 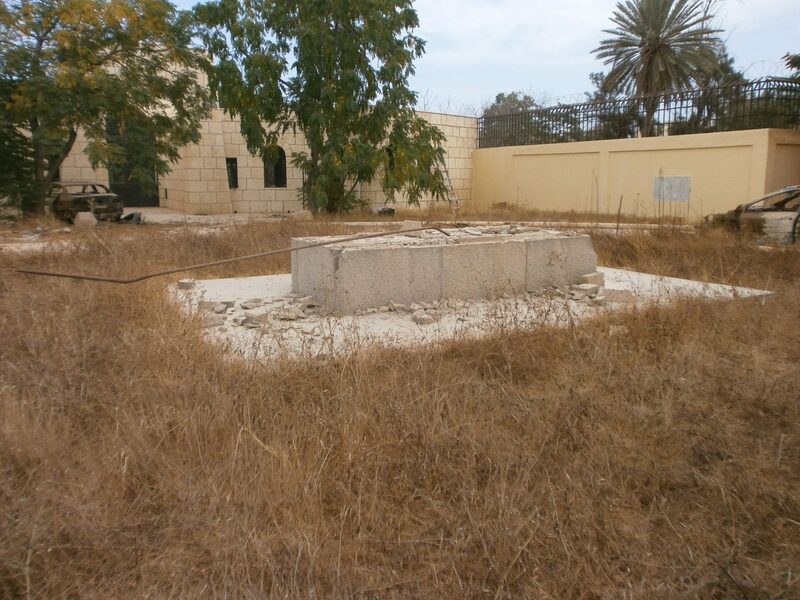 A closer view showed a complete lack of respect of the final resting place of the Christians that once inhabited the area. 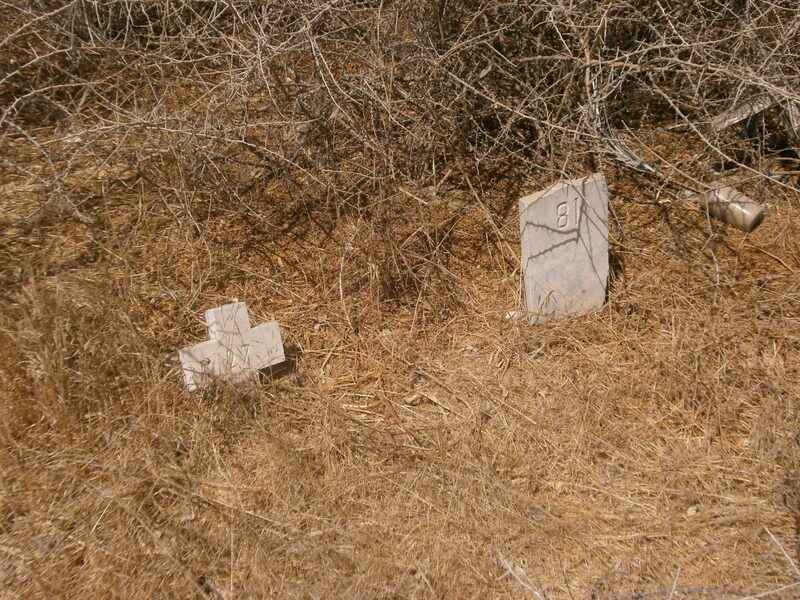 The crosses on a number of gravestones were either destroyed or had their sides broken off. Halfway to the ossuaries, bent steel rods that once strengthened a large concrete cross reminded me of the trouble the Islamists had to go through to destroy that symbol of Christianity. 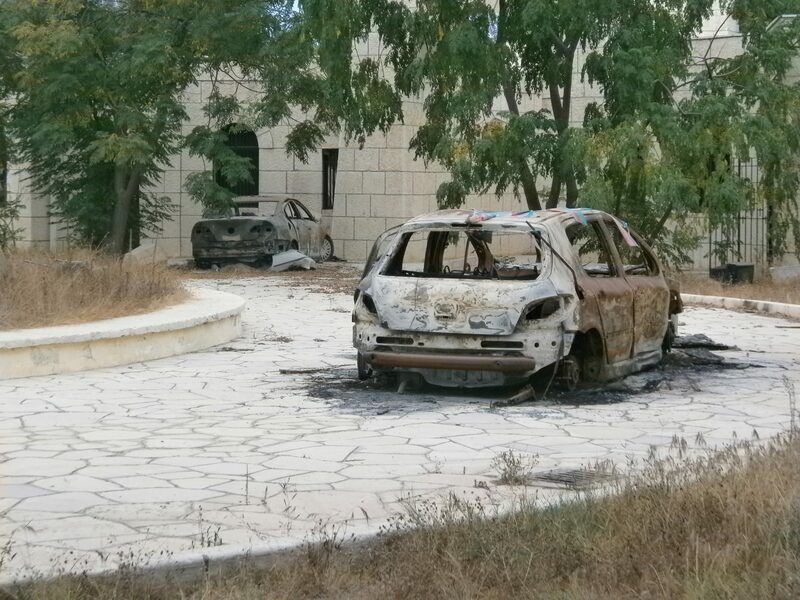 Two cars in the vicinity were torched and Libyan flags were still wrapped around one of them. 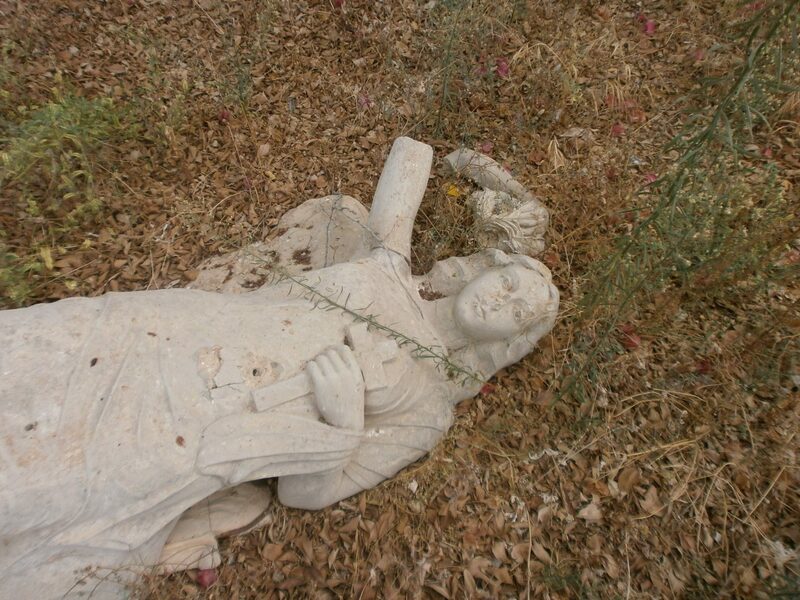 The statues of an angel clutching a cross that was pushed over and of a small boy that had it’s head chopped off were among other Christian relics that were damaged. 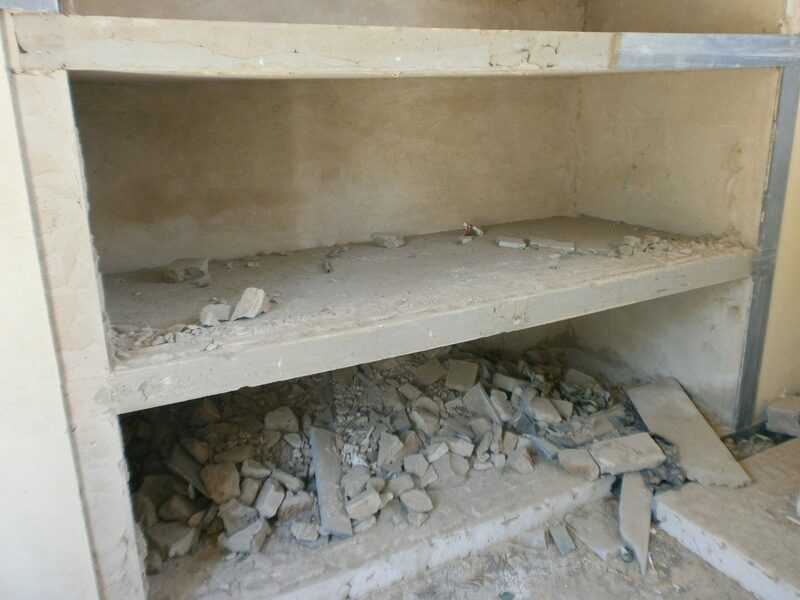 Interestingly, with the exception of a few broken windows, the ossuaries were left intact. 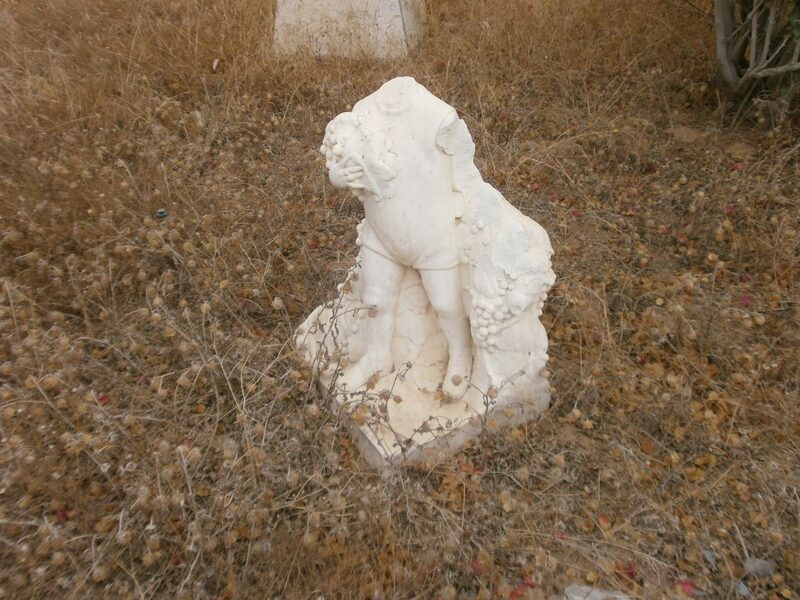 However, the same can’t be said about the once beautiful family crypts located in different parts of the cemetery. All the caskets in them were smashed. 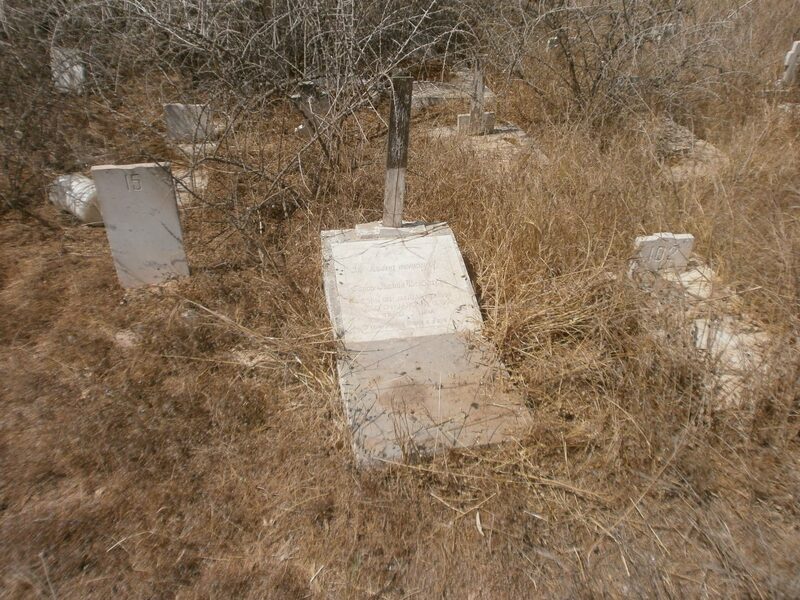 In another section of the cemetery, the final resting place of those who were buried in the past few years could be found. For obvious reasons, the graves are nothing more than cement poured over a casket with the information of the deceased written by hand in the freshly poured concrete. 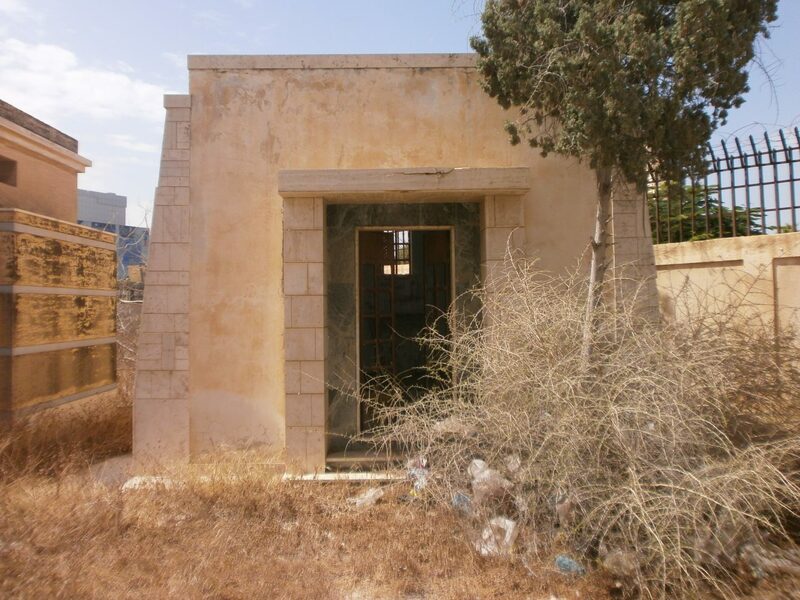 As I was exiting the gates, I looked at the neglected cemetery one last time and wondered whether it would still be there the next time I return to Tripoli. 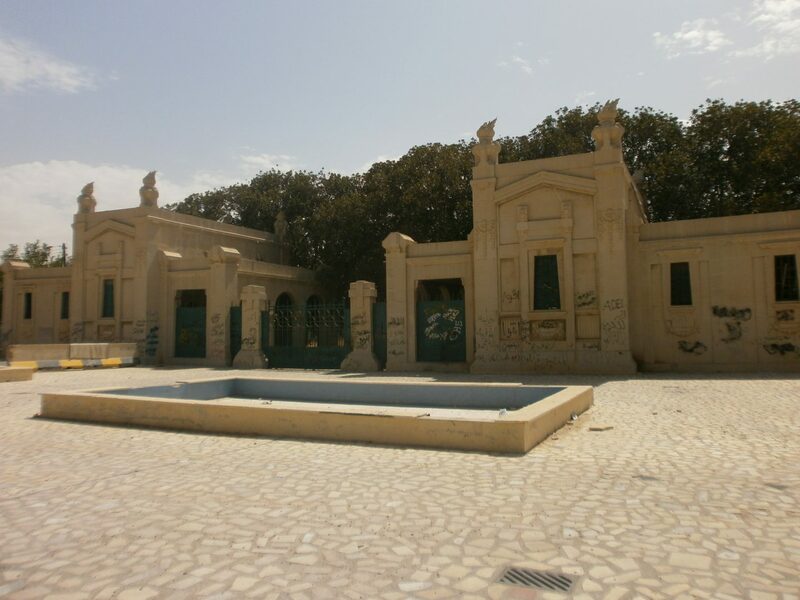 As the Islamists’ grip on Libya tightens and Tripoli’s Christian population dies out, it is only a matter of time before the Christian cemetery is bulldozed and erased from history.